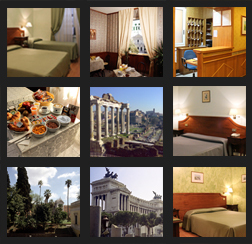 The pretty Hotel Fiori is located in a prestigious and central position in the historical centre of Rome, at only 5 minutes from the most major sights of the city: the Quirinal Presidential Palace, the Trajan Markets, the Roman Forum, the Colosseum, the Pantheon, the Trevi Fountain and the Spanish Steps. 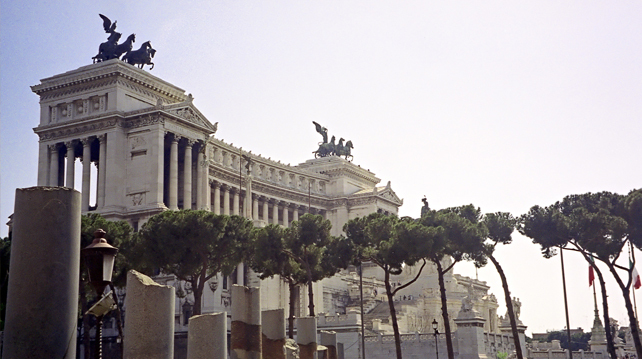 These last monuments are two of Rome’s most important symbols. 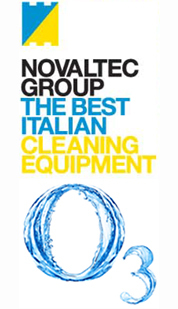 The Trevi Fountain is a Baroque masterpiece: it has a scenographical effect, guaranteed by the restricted space of the surrounding,which presents itself as a theatre. The central niche depicts Neptune riding a chariot driven by sea horses and the water flows over rocks before collecting in a pool below. According to legend, if you throw a coin into the water by expressing a wish, the wish will become true and you will certainly return to Rome. Piazza di Spagna is one of the most beautiful square in Rome and the Spanish Steps are one of Rome’s most famous sight, due to their popularity as meeting point and to the position at the heart of the city’s shopping area. From the upper terrace there is an excellent view of the city. The most important and imposing symbol of Rome is for sure the Colosseum, reachable in a pleasant walk of 10 minutes: In 72 AD, Emperor Vespasian decided to devote part of the area occupied by the Nero’s Domus Aurea to public entertainment, and built the biggest Roman amphitheatre in the world: the Colosseum. 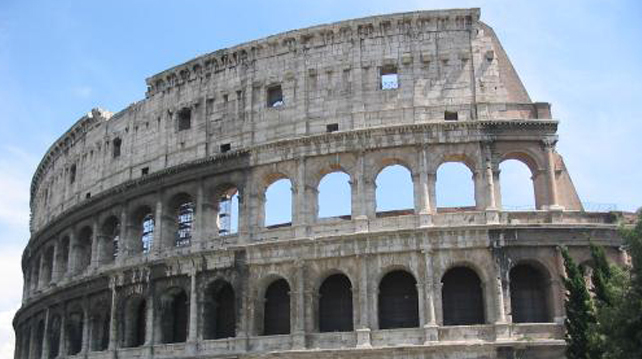 This Flavian amphitheatre took its name either because it stood near the statue of Nero, the “Colosseum”, or because of its own colossal dimension. Three types of columns support the arcades and the walls are made of brick and volcanic tufa faced with marble blocks. 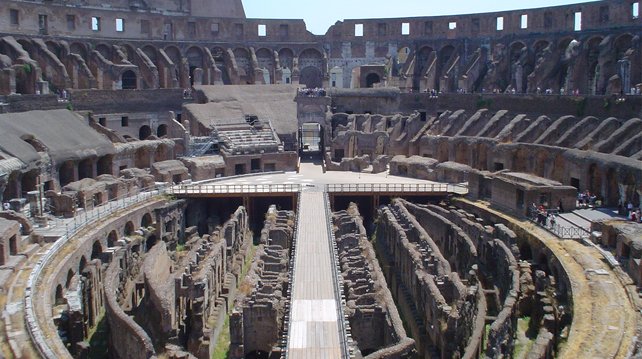 Colosseum is well-known for the spectacles organised in it, consisting in duels between gladiators and wild animals. These spectacles went on for centuries and were banned only in 404. 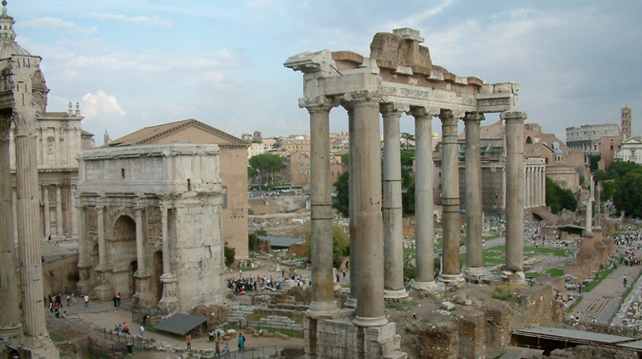 From the Colosseum starts the enchanting Roman Forum: it was the civic and political hearth of Roman Empire, tracing nowadays, with its few columns and ruined walls, 12 centuries of history.This is the area between the Palatine and Capitoline hill. 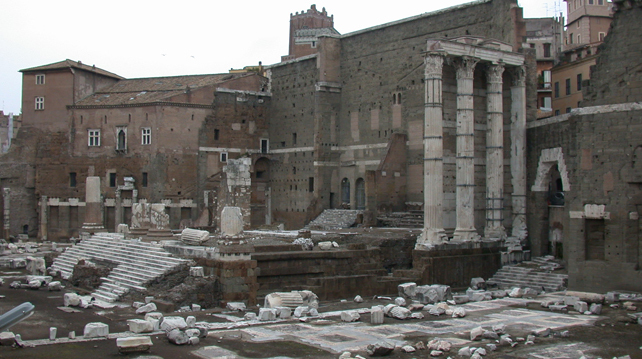 The Forum had many functions: it was in the same time the reference for daily life, politics and religion. 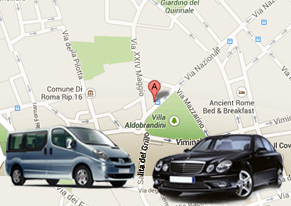 In about 550 BC this valley became a real square at the centre of a town. The last Etruscan king, Tarquin the Proud, was thrown out in 509BC and the Consulate was instituted. The Republican era had begun: Rome began to develop into an Empire. 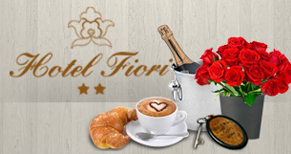 The area in which is the Hotel Fiori is very well equipped with public transportation: just about 400 mt from the hotel there is the subway stop of “Repubblica” (Line A) and many bus lines that will connect you to all the major sights of the Eternal City in a very short time. 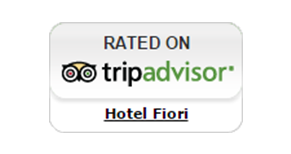 So, let’s start visiting Rome from the Hotel Fiori and have a nice holiday!